In his magnificent performance as the notorious religious firebrand, Stacy Keach delivers a brilliant performance that spans two decades of Martin Luther's life, capturing both his colossal strengths and emotional frailties. 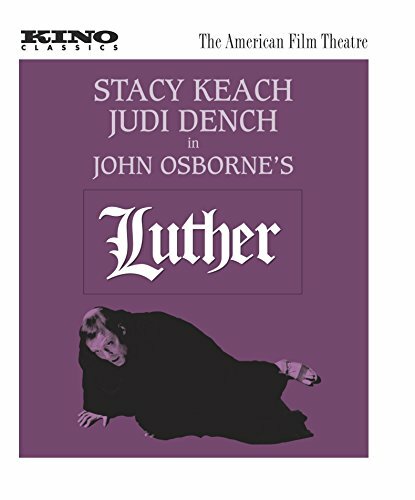 Based on the play by John Osborne (Look Back in Anger), Luther co-stars Kubrick stalwarts Leonard Rossiter and Patrick Magee, as well as Dame Judi Dench as the nun Luther takes for his wife. Injecting religious history with invigorating drama, Luther presents the social revolutionary's condemnation of the Catholic Church as the desperate acts of a brilliant but deeply troubled man of conscience who has run out of options.